Adoniou is exploring the origins and evolution of Rebetiko in a collaboration with Minos Matsas. The score is based on the original lyrics written by his grandfather, an established rebetiko songwriter. Working with the musical essence and lyrics of the rebetiko Matsas is re-constructing the original tunes combining them with his own melodic and rhythmic elements. He says: "This journey revealed to me the primal power and universality of the rebetiko music. The choreography by Adoniou with an international cast of dancers creates a contemporary movement language that has its roots in Greek tradition, being timeless at the same time". KUNST-STOFF has selected Catherine Clambaneva, a performing artist specializing in traditional Greek music, as the project's lead vocalist. Catherine who has a versatile voice and is a native speaker in Greek and English, expresses in the most appropriate way the sadness and ecstasy of the rebetiko songs. The visual power of Rebetiko will be greatly affected by the work of shadow artist Leonidas Kassapides. All countries under the occupation of the Ottoman empire had a tradition of shadow theater, the ancestor of film. 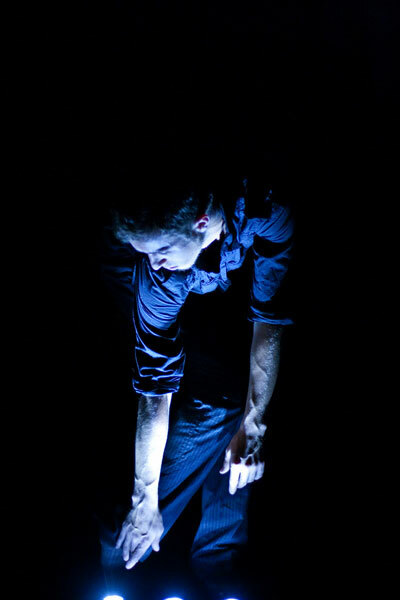 Kassapides was born in Thessaloniki Greece, and has been a professional Greek Shadow Theater performer, designer, and writer since 1989. He has been teaching shadow theater as an artist in residence for 20 years. The dances of Rebetiko come directly out of the music; some, like the paraggelia — a solo dance in which the dancer would stick paper money with spit on the musician's forehead — reflect the humiliation of uprooted people. At other times, a Rebetiko dancer might stab his own leg with a knife and dance away his pain and suffering. Adoniou is exploring all of these aspects of Rebetiko to create the choreography for this new work. This work was developed through the support of the CounterPULSE Performing Diaspora Program.